Many personal finance bloggers are all about investing in index funds, and for good reason. When I first discovered that personal finance blogs were a thing, it didn’t take long before I stumbled upon Mr. Money Mustache and became completely humbled. He and many others like him have mastered the art of intense saving, frugal living, investing in the stock market and retiring early and it’s fascinating to read about. But as captivating as those stories are to read, they can also be overwhelming when you start to think about your own investment strategy. Where do you begin when you have no idea what an index fund is or how the stock market even works? Believe me, I’ve been there, and recently. Isn’t a 401(k) or IRA All I Need? Although I’ve had a 401(k) since I was 25, when I opened it, I picked a few funds to invest in, set up my payroll deductions and moved on for the next few years, oblivious to the fact that I was paying outlandish fees. However, that last part isn’t important. But as I educated myself, I wanted more. I wanted to open my first taxable investment account, but I had no idea where to start, and the fear of the unknown paralyzed me, until I had tens of thousands of dollars saved up in my savings account. That’s a good problem to have, but yikes! You don’t need to know much about money to realize that leaving that much money in a savings account isn’t much better than keeping it under your mattress. The loss of compounding interest, the loss of time, the loss of inflation, oh my! Something had to change. It was time to put on my big girl pants and jump in headfirst, so that’s exactly what I did. If you’re sitting in that same position today, you’re not alone. 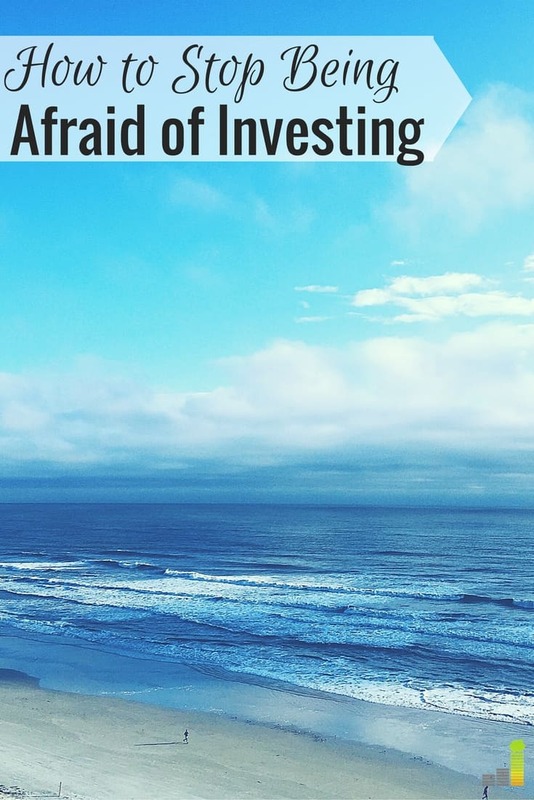 Investing doesn’t have to be scary and you don’t have to lose a ton of your money to fees. The first step you should take before you start investing is to educate yourself. Read, read, read, and then read some more. Read the best personal finance blogs to see where they invest their money. Make notes. Go to the library and check out some books by Warren Buffett, and Jack Bogle. Make some more notes. You’re never going to be comfortable with investing until you learn some of the basic terms and the best strategies, and luckily, there are plenty of investing books for beginners out there that can water it down enough for anyone to understand. Remember, you don’t have to become an expert on investing. You simply must learn enough about it to make yourself feel comfortable and make wise investment choices. You are educating yourself so that you can help your money grow, and that’s worth the time it will take to read a few books. If you learn anything from reading those investment books, it should be to keep your investment strategies simple. Don’t expect to hit it big with some hot stock; the stock market is not the lottery. Be realistic, realize that you’re investing for the long-term, and, once you’re ready, just start investing with whatever amount you have to contribute, no matter how small it is. Too often, people don’t invest because they think you need tens of thousands of dollars to start. That’s just not the case. There are plenty of low-fee investment firms out there with a very minimal balance requirement, like Betterment (who has no minimum balance requirement) so do your research to find a good fit for you. No matter how much money you have to invest, if you’re nervous about it, then there’s nothing wrong with starting small. Don’t invest so much that you can’t sleep at night. 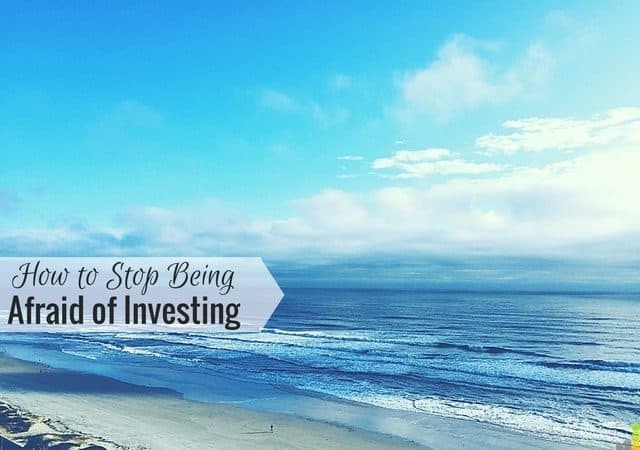 Keep however much money it is in your savings account that allows you to not worry about how the stock market is doing every day, and once you start investing, don’t check your account daily or look at stock prices online. That’s not going to fare well for you in the long run. Instead, take that first $500 or $1,000 (or however much you’re comfortable with to start), and let it sit in your investment account for a month or two until you realize that it’s not going anywhere. Although there will be times when it decreases in value, the stock market will eventually recover, as it has a proven track record of doing. (You’re in it for the long haul, remember?) Then when you’re ready, start investing more heavily to really begin building your wealth. Because I used to believe that investing was too risky, it was hard for me to open my first online brokerage account, but I was only scared because I was uneducated about the process. The only way I knew to remedy that was to start picking through all the information I could get my hands on until I was comfortable enough to finally make the leap, and now, I don’t see what the big deal was. So, if you’re ready, go ahead and make that leap. Read the books, plan your (simple) strategy, and open an investment account. Once you’re done, you’ll probably wonder what took you so long. Additional resource: If you’re afraid to invest but know you need to it can be difficult to know where to start. The best place to get started, in my opinion, is through opening an account with Wealthsimple. You can open a Wealthsimple account with no minimum balance and they do much of the work for you. Wealthsimple offers a great way to get started as they focus on low-cost ETFs that allow for instant diversification, not to mention promotions when you open a new account with them. Open a Wealthsimple account today! Do you invest outside of your retirement accounts? Do you have a personal investment strategy? Did you read any good investment books that helped you when you started investing? Our investing strategy is so boring that it isn’t scary at all. We throw a large sum of money into index funds every month, or at the moment, every three months. Rinse and repeat. I would say that my best tip is to commit to learning about investing as a continuous journey even if you commit to a single strategy for ten years or more. I am currently in the process of learning more about investing. I have invested in mutual funds in the past and seen some really good returns. Since I am young, I would like to invest a little more aggressively. I am definitely afraid of losing some of my hard-earned money. But staying educating and being in it for the long haul is all you need. You may lose money if you stay in short term; history shows long term is the way to go. From talking to others my age it’s not so much people being afraid of investing as it is not knowing where to start. I think simply getting started (i.e. through 401k or IRA) is the most important thing for anyone in their 20s. I think it was a little bit of both for me, at least when it comes to a taxable investment account. Luckily I started my first 401k years ago. You’re so right. Education is the key. Demystifying stuff takes the ‘black magic’ away, and makes us realise how achievable it really is. One thing I did for a while before I even put a dollar into investing was set up a virtual trading account. Even though I was given $50k of virtual money, I still bought shares as though it was real money. As I saw the value of them change, I became better at identifying which ones were good investments. That took away a lot of the ‘scary’ factor, but I think realising the immense importance of investing and starting today helped as well. That’s a really cool idea, Richard. I didn’t even know there were platforms for that. I don’t invest outside of my 401k at the moment but that is something I want to change in the near future. I have learned a few things through seminars in the past, but all that info I learned is a distant memory. I really like I Will Teach You To Be Rich and some of his strategies he shared in his book. I’ll do a bit more reading before I begin, but I know it’s definitely something that will be a game changer for me. Robin, I started learning from the blogs I read. Those bloggers introduced some finance books, some of which I grabbed a copy. I just kept on reading until I reached that state that I felt I was ready to take that leap to start investing. Initiative and willingness are just key here. If you want something, you’d definitely do whatever it takes like educating yourself.